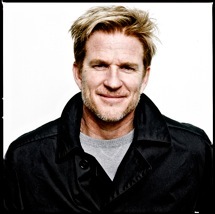 Home » Actors » Matthew Modine ~ Actor, Filmmaker, Commie? Everyone who knows me has heard me say, “Twitter has changed my life.” Well, my life expanded again this week. I cannot tell you how exciting it’s been since @Amused_Now met @MatthewModine. We discovered that both of us are working to create opportunities, so everyone can make a living pursuing what they love. Amused Now works through its blog and upcoming e-commerce site; Matthew Modine works through his short films, available now as a collection on iTunes. Cynthia: Matthew, you’ve starred in so many motion pictures, what prompted you into making your own short films? Matthew: Actors are storytellers. We do our best to embody the characters we play, bring them to life and tell their stories. For some actors, there comes a time when playing a role isn’t completely satisfying and they want to become orchestrators of the stories they tell. There are great examples of actors who have worked in front and behind the camera, from Charlie Chaplin to Woody Allen to Clint Eastwood to Ron Howard. Making short films is an exercise I do to try and master cinematic storytelling. Cynthia: How long have you been interested in filmmaking? Matthew: More than twenty years. I have also directed theatrical productions. Cynthia: Who are your influencers? Matthew: I’ve learned from all of the directors I have worked with. I’ve learned valuable lessons not only from the best of them, but also the least. It’s important to learn why something doesn’t work as much as why something works effectively. Every director wants to create something amazing and memorable. Something lasting. It’s rare when they do. And that is why we celebrate great films and performances, because it’s bloody hard work. Cynthia: What is your favorite aspect: Screenwriting? Producing? Acting? Directing? Matthew: Acting. Having a great role, filled with dimension and conflict, is what most actors search and long for. It’s difficult to find them. It’s competitive. When you don’t have the opportunity to play one of these challenging roles, sometimes you have to create the opportunity. 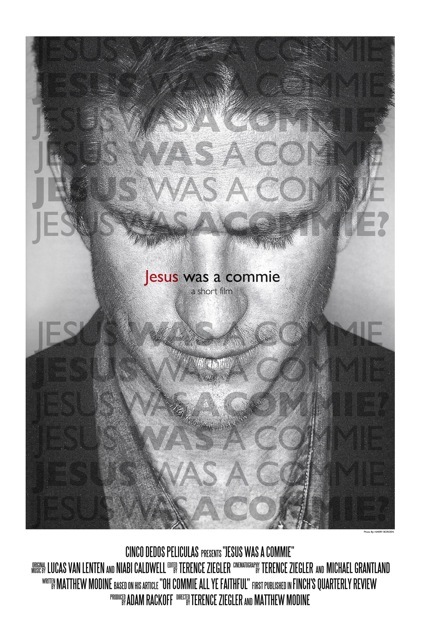 Cynthia: Your short film “Jesus Was a Commie” (now available to watch on FilmAnnex.com) really resonated with me. When we acknowledge the fact that everyone is selfish, we must also start seeing the world from the other person’s viewpoint in order to truly communicate with each other and get our point across. Matthew: I wouldn’t say, “everyone” is selfish. There are great groups of people that are unselfish and care for each other and the world we share with so many diverse species. We are living in a moment of great change: an emotional, intellectual, and spiritual evolution. But, at the same time, we’re living in a moment of historic environmental disaster. Add to this, violent religious intolerance the world over. Decades of unfettered human consumption has cost us the lives of untold species and mind-boggling destruction of habitats for creatures we share the planet with. Add to this numerous heinous weapons available capable of causing massive death and suffering. Add to this religious intolerance. Narrow-mindedness combined with bombs creates a cocktail of hate and pain beyond what our world has never known. The question is: Can our emotional, intellectual, and spiritual evolution win the race against the un-evolved, the poverty of mind, and the corporate and industrial greed that threatens all life and the dream of fair civilization? There is no hocus-pocus solution to the problems we face. It requires effort and focused work. We can’t hope that a savior will arrive in the nick-of-time to save us. It is up to each of us. Cynthia: We cannot get away from “What’s in it for me?” but we can change the way we approach problems to reach new solutions. You offer to show the film at schools and other gatherings. What changes are you beginning to see? Matthew: The film is reaching the audiences hungry for solutions. It is reaching those people that have become disillusioned with the existing state of affairs. My hope is that the film is a spark that will ignite a torch. Sometimes it takes only a small light to lead the way out of darkness. If there are many people carrying a torch, their individual small lights become a beacon. Cynthia: Your video “Occupy” is my other favorite. I love the message that it’s up to me to “create opportunities.” We started writing the Amused Now blog as a place for artists to help artists by sharing information and supporting each other. Later this summer, when we launch the e-commerce site, we’ll have built a platform where artists can profit from their creativity. I thought about the video long after I first viewed it; it continues to motivate me, much like the song “Architects” by Rise Against. Did you write the script? Matthew: The script for “Somebody” came from a story I heard at a Thanksgiving dinner when I was a boy. My family was very much like the characters in John Steinbeck’s Grapes of Wrath: Pioneer stock. We had Thanksgivings in Baker, California, a small town on the edge of Death Valley. You can imagine why personal responsibility was essential for people living in the desert. If you forget, let’s say water, and assume that someone else would have brought it, two people could end up dying from having forgot to carry water. I was thrilled that my daughter, Ruby, wanted to be in the “Somebody” film. It carries on the tradition of my family. Cynthia: What advice do you have for filmmakers who are just starting out? Live. Experience life. Don’t regurgitate or duplicate the films you grew up watching. Know what it feels like to be slapped across the face and to have your heart broken. Don’t just mirror the pain of pain you have seen in other films. Live and experience your life and that will reinforce your NEED to tell a story. Cynthia: I truly appreciate the simplicity of your Do-One campaign that shows how easy it is to lower our carbon footprint. What inspired you to create these films? Will we see them as part of a national campaign? Matthew: I hope to create a national campaign with Do-One. It’s what I call my “Smokey the Bear campaign.” Smokey’s message was so simple and clear. It’s no good telling people there is a problem without offering them a solution. Do-One is meant to empower people with simple things each of us can do to reduce our carbon footprints. Cynthia: I see that you feature your daughter Ruby Wylder Modine as the ingénue in several of your films and the singer in “As Tears Go By” She is truly lovely. Matthew: Thank you. Yes, Ruby is my daughter and I love her to bits. She understands how important it is to make her own path and to live her own life. She’s heard me say to so many young actors, “Acting means doing. What are you doing to achieve your goals?” So Ruby does. She is always looking for projects to do and to learn her craft. And she really enjoys this process and the discovery of who she is. And isn’t that the greatest journey there is?! Cynthia: How did you come to sell your short films on iTunes? Matthew: Well, you don’t “sell” your films to iTunes. You partner with Shorts International, a short film aggregator, and you work together to distribute your films on iTunes, Amazon, and the ShortsHD television network. My producing partner, Adam Rackoff, was often asked how my films could be viewed. So he thought making them available on iTunes was a good solution. 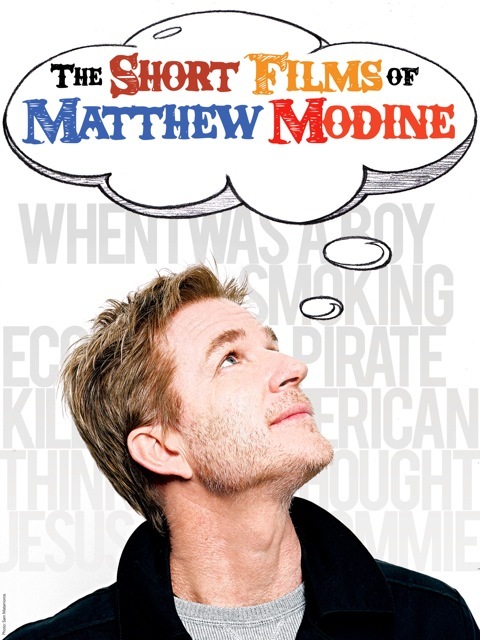 You can now download “The Short Films of Matthew Modine,” a collection of six of my shorts from the past two decades. Cynthia: We met on Twitter. How do you use social media to promote your projects? Matthew: Social media is wonderful. It is a way to empower people from all walks of life the world over. And it’s very democratic. Promoting projects is tricky because we’re all tired of being sold things. It’s more important to simply let people know about a project rather than selling or pitching. So, it’s a balance. Cynthia: Why don’t you tell us some of the inside scoop about your new films “Jobs” and and “Cat 8” ? Matthew: I don’t have much of a scoop. I haven’t seen either film. So I’m just as much in the dark as everyone else. Cynthia: Well, Matthew, I’ll go see them both and be surprised! Thank you so much for taking the time to write such heart-felt answers to our questions and enlighten our audience. 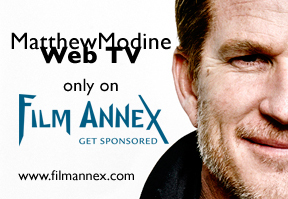 To learn more about Matthew Modine and his projects, visit: http://www.matthewmodine.com/. Cynthia – You did such a great job on this! You are a natural. I plan to visit Matthew’s site to view the films. Looking forward to more offerings. MATTHEW IS AN EXCELENT HUMANITARIAN AND CREATIVE MASTER. HIS WORK SHOWS IT!!!! many thanks, I believe your visitors could possibly want significantly more content articles similar to this carry on the very good do the job.